The Ponton was Daimler-Benz's first totally new Mercedes-Benz series of passenger vehicles produced after World War II. In July 1953, the cars replaced the pre-war-designed Type 170 series and were the bulk of the automaker's production through 1959, though some models lasted through 1962. The nickname comes from the German word for "pontoon" and refers to one definition of pontoon fenders — and a postwar styling trend, subsequently called Ponton styling. There were essentially four types of Ponton cars. Note the "D" designates a diesel engine, and the suffix "b" and/or "c" are body variants introduced after the middle of 1959. The 220 S Ponton were amongst the top of the range Ponton models, she is a real eye catcher and purrs along very comfortably with her straight six cylinder drivetrain. 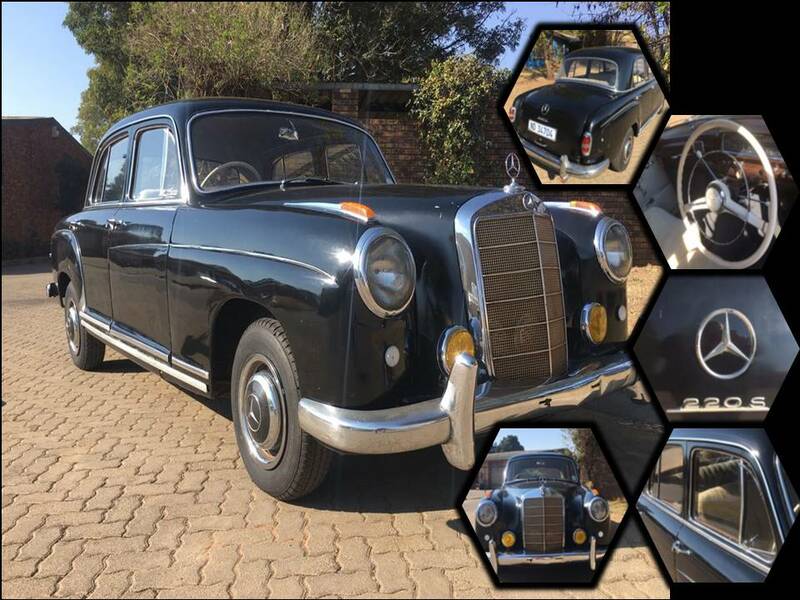 The black colour of this lovely Ponton gives her a “stately “look and feel and she makes for the perfect pictures and memories for any occasion.